Address: 16 Arumugam Road, LTC Building Block D, #04-01B / #04-01C, Singapore 409961. 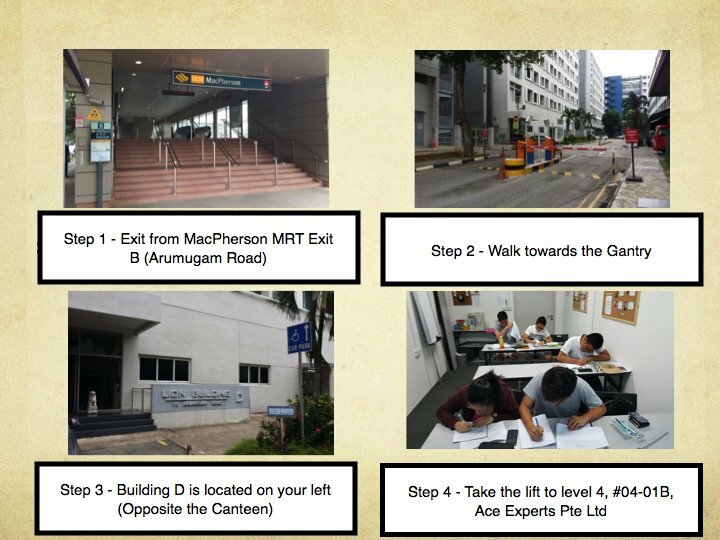 Accessible by Train: Located near to Circle Line, MacPherson MRT station (Exit B). Only 1 minute walk from the MRT exit to us! Accessible by Bus: 24, 28, 43, 70, 70M, 76, 80, 135, 154. 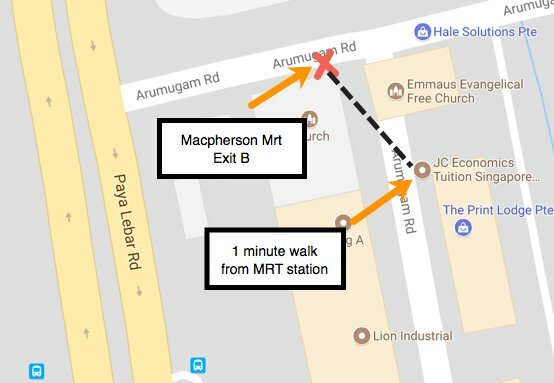 Alight at bus stop name- MacPherson Stn OR Opp MacPherson Stn (conveniently located along Upper Paya Lebar Road, depending on which direction you come from). Accessible by Car: Along Paya Lebar Rd. Make a left turn after Geylang Neighbourhood Police Station into Arumugam Road and another right turn into LTC Building D.